When Amira was only 12 years old, her parents betrothed her to a middle-aged man. Sadly, the custom of child marriage is still practiced in her rural Pakistani village, and Amira faced a horrific life of abuse and servitude. Rather than submit to the marriage, though, she made the brave choice to run away from home, and after two days, reached a humanitarian aid group that gave her shelter. Wow. That’s great and all, but this story would have a bit more pizzazz if she had then gone on to open up a school for girls. Good on her for escaping child marriage, of course. All we’re saying is her inspirational tale is sort of lackluster if that’s all she does. The story needs to go somewhere for it to really tug at the heartstrings. 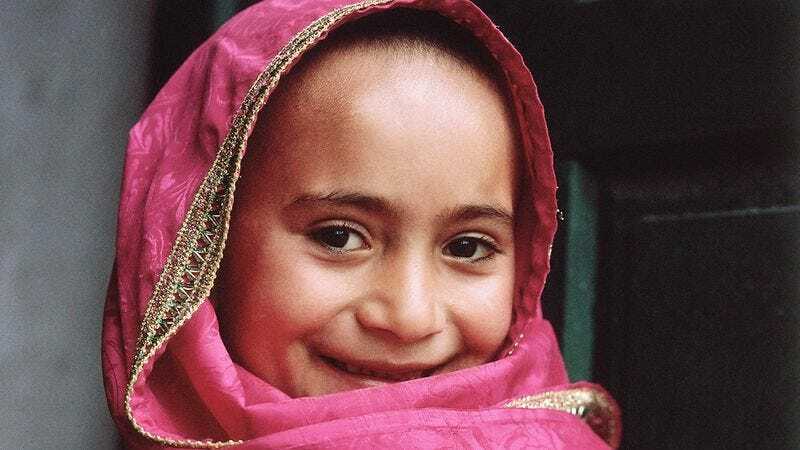 Opening a school for girls in Pakistan would have been the perfect cap to Amira’s adventure, a thematically satisfying conclusion that nicely wraps up this saga of female empowerment. As is, she escapes child marriage and… then what? The plot sort of peters out. Don’t get us wrong. Amira’s daring escape is uplifting. The story could just be so much better than it is. We’ve got a solid first act here, but where’s act two? Perhaps Amira doesn’t feel that she has opening a school in her, but there are other options that would be equally inspirational. Maybe she could start a nonprofit organization called The Amira Fund that gives scholarships to women in third-world countries. Or she could invent some kind of special bucket that purifies water so women don’t get diseases drinking from polluted wells? We’re not picky. She just needs to do something, anything at all, to give this story a bit more oomph. At the very least, Amira should publish a tell-all book called Amira’s Journey and go on an international motivational speaking tour. We wish Amira the best of luck and hope we haven’t seen the last of her. There’s a lot of potential here for an emotional story that will restore our faith in humanity, if Amira just gets her head in the game.